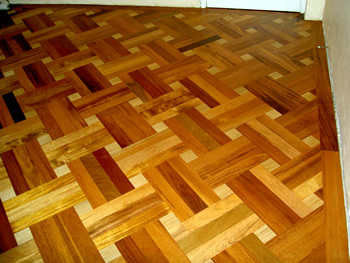 The elegance of traditional Parquetry flooring is a stunning piece of art designed and formed on the floor of your house, it can be made of extensive range of hardwood to suit all design specifications and all types of subfloor for both commercial and residential projects, it can be made from a wide range of timber species to suit your design needs like Oak, Maple, Spotted Gum and many more. 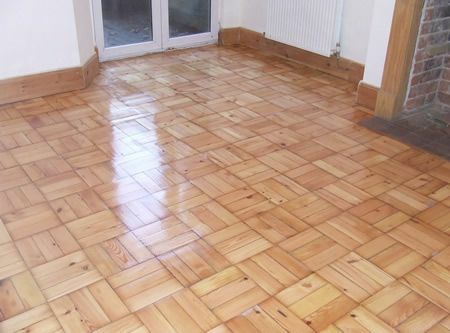 The parquetry flooring has two main advantages, first one is that relatively easy to install, just glue it to the subfloor like Ceramic tiles, also the Parquetry flooring has numerous textures and patterns that you can achieve instantly, another superior advantage of the Parquetry flooring is that puts you in the company of King and Queen as the use of the Parquetry flooring dates back to the 17th century where it was used for the first time in the main palaces in France and then spread across the European nations. 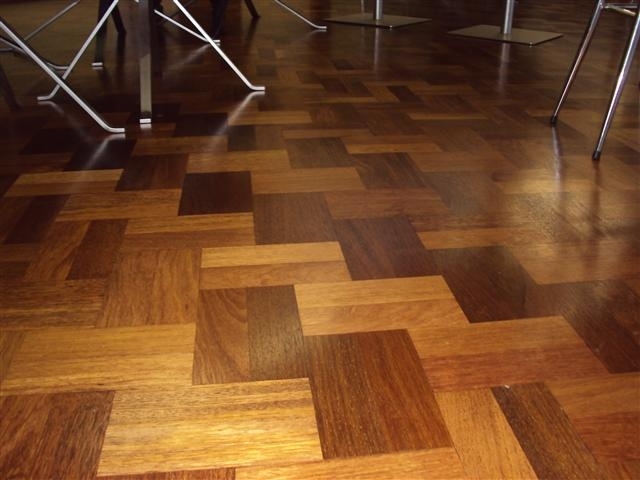 The main design patterns of Parquetry flooring is V shape and Square shape as you can see from the above photos, there are numerous artistic patterns you can achieve on the floor depends on your personal taste which is something you cannot achieve in any other timber flooring types. Give Prestige floor Polishing Melbourne a call to discuss all your architectural and artistic goals you want to achieve in your floor and we will help you throughout the process to satisfy your architectural ambition.